All orders are payable in Australian dollars (AUD). For orders over $200.00 (AUD) please contact us for rates. The book celebrates 100 years of women in the Olympics. Part I looks at important landmarks in the struggle of women to gain acceptance in the Olympic program in 1900. Part II is devoted to the memories and the personal stories of women who competed in the Games until 1936. The authors introduce some of the unforgettable characters who shaped female sporting history. This is the first book to fully document the extraordinary rich and exciting history of Australia-West Indies cricket. The 86 tests between the two countries since 1930/31 have contained many of the most dramatic and exhilirating moments the game has known including the first tied Test, a Test won by one run and another by one wicket. Many commentators have contended that commercialism and commodification, prominent in the last three decades, have been detrimental to the culture and integrity of Australian football. They feared that football would become just another media-packaged form of entertainment. Bernard East, who brings sociological perspectives to this study, contends that such fears have not been realised. Commercialisation has not overwhelmed the game, rather, the culture of Australian football has been re-imagined in interesting and attractive ways. Dennis Phillips has revised and updated previous editions of this book published before the 1992 and 1996 Olympic Games. He begins with a lavishly illustrated chapter on the outstanding achievements of Australian women at the Sydney 2000 Olympic Games and includes new material on the Atlanta Olympic Games. The NSW Totalizator Agency Board (TAB) has provided in excess of $3 billion in revenue to the NSW Government and $1.1 billion in assistance to the NSW racing industry. Beating The Odds tells the story of the early opposition to the TAB's establishment through to its present phenomenal success, recounting the people, events and challenges which have shaped the organisation. This volume looks at issues surrounding the future of the Olympic Games. Chapters include ‘The Olympic Ideal, the Code of Ethics and Human Rights’, ‘Early Coubertin – Internationalism, Democracy and Peace’, ‘Implication for Olympic Education and Training in Africa’, and ‘Culture in the Sydney 2000 Games’. This book explores the recent troubled relationships between Sri Lankan and Australian cricketers. The Sri Lankan team's Australian tour in 1995/96 was marked by tempestuous episodes as well as acrimony on the field. The strained relationships were exacerbated when the carnage caused by a terrorist bomb saw the Australian team forego their match in Colombo during the World Cup. Gender, sexual orientation and sexiness are provocative enough topics, but become volatile when sport is added to the mix. To what extent does ‘masculinity rule’ in sport? What is its impact on sports management, reporting and playing? How does it effect heterosexual female athletes, gay and lesbian athletes, not to mention non-athletic boys and men? The title refers to what were probably the last words uttered by the remarkable athlete Jack Marsh. It is not clear whether they were uttered as a defiant growl, taunting the two men who attacked and ultimately killed him outside an Orange hotel, or whether this was a sigh of resignation in the face of, yet again, impossible odds. Australian Cricket Society Literary Award Winner 2003-4. This book, based on meticulously-kept diaries, represents a compelling and feisty narrative of a man who is passionate in his love of things Gaelic: sport (hurling and Gaelic football), language, religion, politics, dance and the celebration of St Patrick's Day. Terry Keenan captures the colourful, often turbulent history of the formative years of the Port Melbourne Football Club, a club that has always had its passionate supporters as well as its detractors. Carefully researched and illustrated, this book brings to life a fascinating period of the club's history, from its beginnings until World War I.
Olympic Countdown is a collection of weekly columns, written from an independent perspective, that were published in the Southern Courier and the Inner Western Courier on a wide variety of Olympic subjects during 1998.The book is a record of the many issues which surfaced in the local media and were debated so fervently in the Olympic city. • Chapter 13, Australian sport in a global era, examines positive and negative impacts of globalisation. 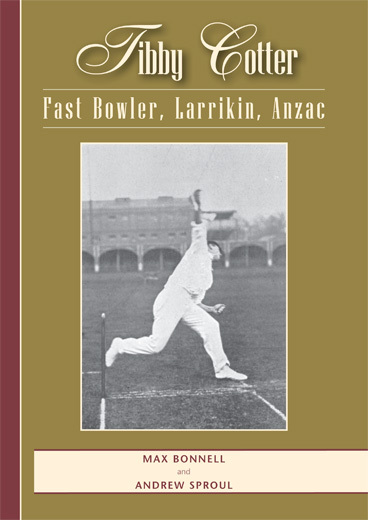 This book offers a groundbreaking revision of the history of Aboriginal cricket. It argues that the few Aborigines who have played the game have been widely separated across time and place. Promising beginnings have been made on pastoral stations, missions, and by individuals, but never built upon. This is a challenging and even controversial book which argues that the 1997 Olympic Arts Festival ‘The Festival of the Dreaming’ provided the debate that Australia should have had in 1988. It also examines many issues relating to the Indigenous involvement in the Olympic Games and suggests that Olympism should encourage reconciliation. This lavishly illustrated book is a well researched history of the Olympic Flame and torch starting from ancient Greece and tracing its journey to the Sydney 2000 Olympic torch relay. This is a book for all Australians to enjoy and will enhance their experience of the Olympic torch relay. 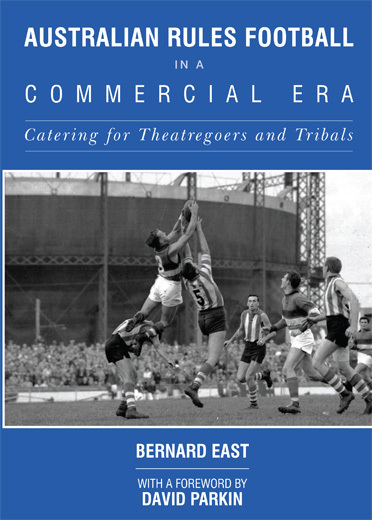 This book explores the impact of Federation on Australian sport and the contribution of sport to the new Commonwealth of Australia before and after 1901. The effects and development of the White Australia Policy, national sporting bodies and the role of women and indigenous Australians in sport are also examined. How did sport affect the development of national consciousness in Australia? Why were Australians so keen to compete and be seen as successful on the world sporting stage? These and other issues are explored through the history of various sports before and since Federation. Sport, History and Australian Culture explores the evolution and meaning of Australian sport particularly in the Federation decades. Unlike previous histories, which have focused rather more on privileged male team sports, this book incorporates new research on neglected individual sports, such as cycling and swimming, which have been open both to men and women. This is a pioneering work, the first to properly acknowledge an ethnic contribution to Australian sport. Immigrants have fostered new sports including baseball, basketball, callisthenics, gymnastics, snow sports and softball and have made sports, such as soccer and weigthlifting, more popular. 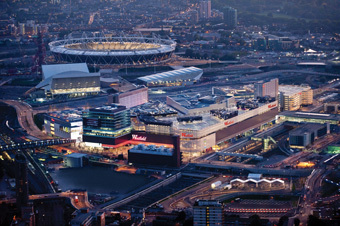 Sydney Olympic Park 2000 to 2010 is the first extended study of the realisation of post-Games legacy in an Olympic city. It raises many new questions about the nature of legacy and when legacy obligations end. Australia is the first country to develop an international Olympic caravan to cater for the requirements of large-scale sporting and cultural events. Australians have promoted innovations in ceremonies, sports presentation, the design and look of events, new forms of media and other areas. The A-Z of Australian Cricketers provides the fullest and most reliable guide to the careers and achievements of all your favourite cricketers. Everyone who has represented Australia at Test level receives an entry, along with many other outstanding first-class and Limited Overs players. This is the first biography ever written on this remarkable Australian cricketer who made cricket history and became a legend. He was according to the great cricket authority, C.B. Fry, the founder of a new school of bowling. For the first time there appears in the game of cricket a thinking fast bowler who combined subtle variation of pace with sheer speed. The UNSW Sports Association has grown from a modest institution to a businesslike organisation. Authors Cashman, Hughes and Zavos examine the Association's history and the debate about whether the goal of sport is to enhance the life of clubs and the university community or whether sport is a revenue-generating commercial product. Lawn bowls became a popular sport in the 1870s and 1880s for middle-class gentlemen to indulge in gentle exercise. Founded in 1876 the Victoria Bowling Club became a place for male sociability and business networking – a fraternity similar to the Masonic Lodge. Tibby Cotter was a pioneer fast bowler being the first to bowl bouncers frequently in an intimidatory fashion and to employ a packed slips field. He was an unlikely innovator in that he was a carefree cricketer who disliked practice. He was a dashing tail-order batsman with entertained crowds with his slogging. Cotter was an uncomplicated man, an undisciplined larrikin, who had his share of brushes with officialdom and the law. Australian women cricketers have been among our most successful sporting exports, yet their prowess has often attracted ridicule, or has simply been ignored. This book looks at women's cricket – its rich history, its triumphs, and the struggle of its players against the deep-seated prejudices which have held back most women's sports. Over 50 seasons, Randwick Catholic Young Men's Cricket Club (CYM) has achieved remarkable and unparalleled success that is unlikely to be matched by any other junior club by winning 99 premierships and 22 club championships. However, Randwick CYM's 2006/07 season is its last. Why will such a well-organised and highly successful club come to an end at this time of celebration?